Wales has a wealth of caravan and leisure parks to make family holidays a joy. But there are hundreds of things to do in Wales off site too. Why not make a list of places to explore and things to do in Wales so that eventually you will have covered the entire country? Aim for a 100 and strike them off the list when you have achieved then. Depending on how many holidays and short breaks you take per year, it may take you some time. It doesn’t matter where your holiday home base is because the road network is great and transport links excellent. Now classified as a world heritage site, Caernarfon is one of the largest castles in Wales with a history dating back to medieval times. It was built as a fortress by Edward I and standing on its battlements will allow you to truly feel like a king or queen of the castle. Visit Caernarfon Castle website for opening times and more details. Known as the Island of Love, if you want to enter into the true traditional spirit of thing take your loved on to the island on St Dwynwen’s Feast Day. Held annually on 25 January lovers historically have given each other love spoons and cards. It’s like St Valentine’s Day but celebrating the Welsh Patron Saint of Love (Dwynwen). On the island there is a church which has seen better days, notably in medieval times. But every year people go and pray to Dwynen for romance to enter their lives. You don’t strictly have to go offsite to enjoy a full Welsh breakfast because technically you could cook your own in your caravan. But you would need all the ingredients. At first sight it doesn’t differ greatly from the English full breakfast with eggs and bacon but it has the addition of bread made from seaweed (laverbread). To be authentic all the ingredients need to be locally produced. To strike this off your list of things to do in Wales you have to eat the laverbread! Check out the video below to watch the fun! 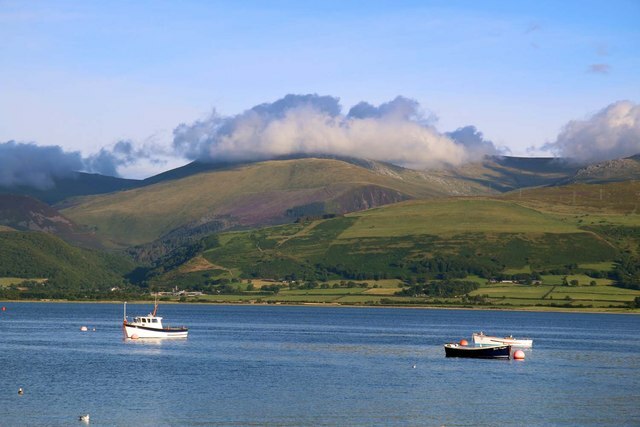 Keep an eye on the Sirior Bach Caravan Park blog for more things to do in Wales which you can add to your bucket list! Want to buy a caravan in Wales this year on a 19 acre rural retreat? Visit our website where you will find many bargains!